Yvonne Lynch, MelbourneThe City and the Coming Climate, by Brian Stone Jr.
We have assembled a list of 90 must-reads on cities from a diverse group of TNOC contributors—a nature of cities reader’s digest. The recommendations are as wide-ranging as the TNOC community, from many points of view and from around the world. They are a reflection of the breadth of thought that cities need. And, as my grandmother would have said: “This will keep you off the street and out of trouble”. The prompt seems easy, but it turns out to be difficult to recommend the one thing everyone should read on cities, and what we have created here is a remarkable and diverse reading list. You will likely think of other essential works yourself, and when you do, leave them here as a comment. There is a rich conversation to experience simply by exchanging ideas on great books. The list below could serve as a wonderful primer for courses or other gatherings. You can download the entire list as a PDF here.
. Some of the sales price will benefit TNOC. The books are listed in a random order. Refresh your screen to see the list displayed in a different order. Touches critically on so many debates in ecology (well, in many quarters they are not debated). Re-wilding, novel ecosystems, are invasive aliens always bad, old conservation models … etc. Her writing feels effortless and then she gives you lots to kick back against. Rather like finding yourself eating an exotic flavour of ice cream (ice cream—yum, popcorn flavoured—gosh!). 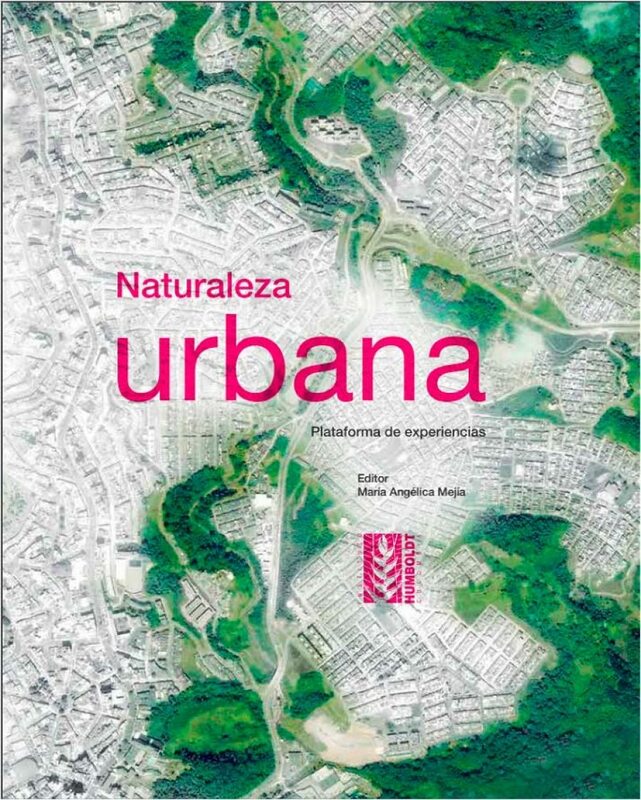 Nobody concerned with urban habitat should miss this book, available in English and in Spanish, that reaffirms the role of nature in the city. 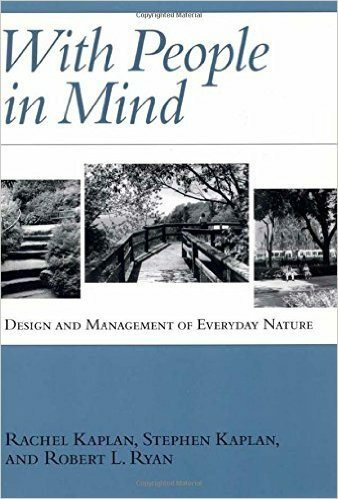 In six easy to read chapters, landscape as a process is highlighted and understood as the link between nature, humans, and built environment. The author demonstrates that total control (of nature) is impossible and that in attempts to do it, the result is least diversity for the most effort. 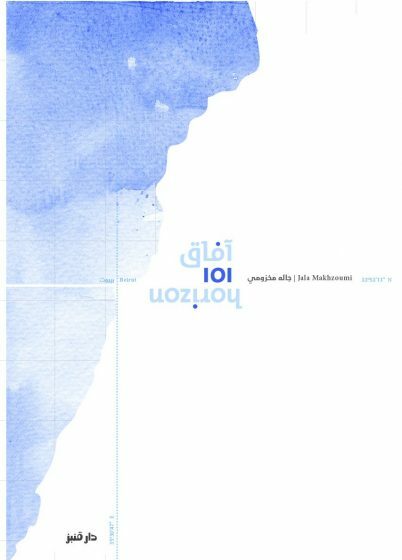 I strongly recomend Jala Makhzoumi’s “101 horizons”, for students and people involved in Landscape in cities as a fundamental reading to see a different point of view. From a room with a view of the Mediterranean, in an artistic and emotional story, with poetry and illustrations, and also … blank spaces, Jala describes a Landscape where all Theories and Methodologies are surpassed by the day to day of a terrible and seemingly endless war. Despite all the fears, Jala paints, draws, dreams, wishes … expressing from her soul, so that we can understand the depth of this moment. 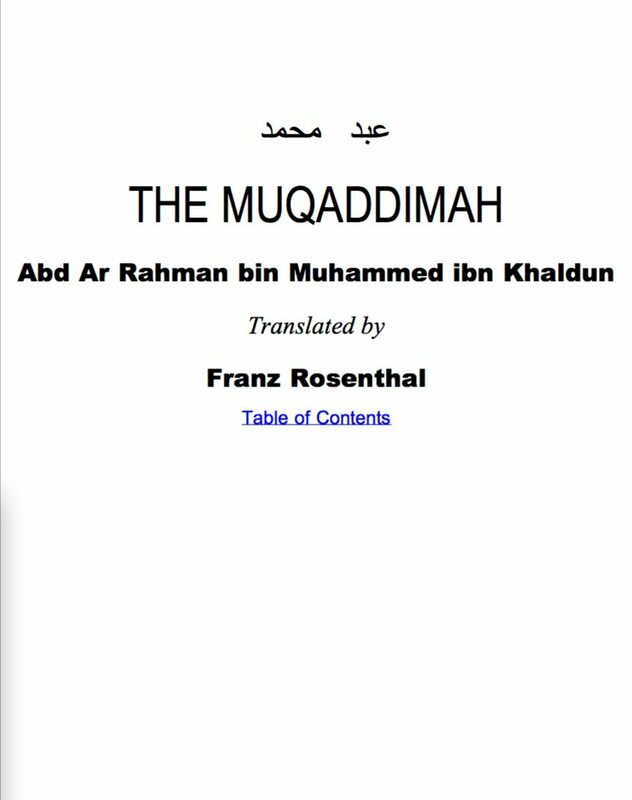 The text in both languages, Arabic and English. Rusong Wang is an internationally renowned urban system ecologist, whose work laid the foundation of urban ecology research in China, and influenced and contributed greatly to the theory and practice of eco-city development in China. 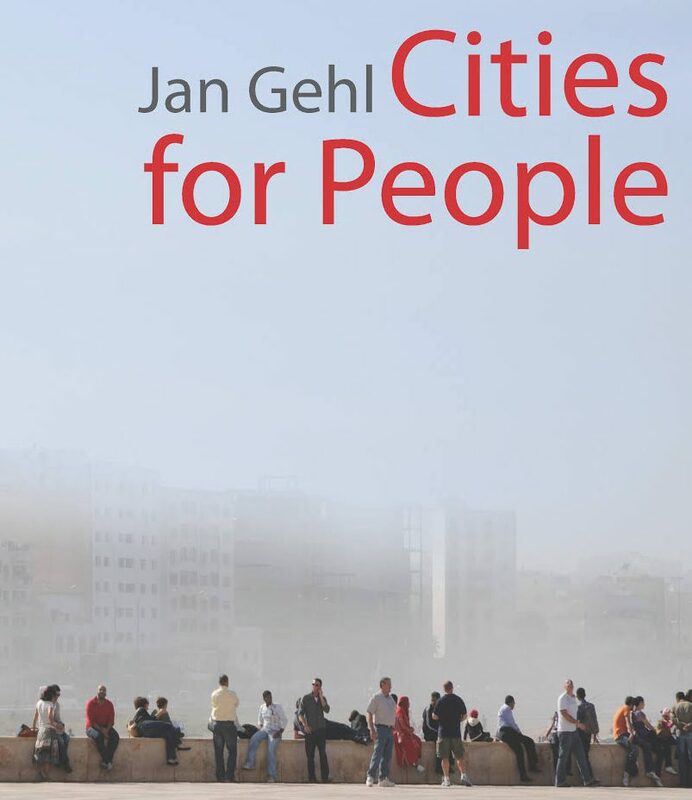 Although not always highly cited in the English literature, some of the concepts and thoughts presented in this book—e.g., cities as complex social-economic-ecological systems—were inspirational in the 1980s and are cutting edge even today. Nominating this book is also a way to pay tribute to a fine urban scholar and his achievement—he passed away in 2014 at the age of 67. It opens up a view of the city as an ecosystem. It is a must read for anyone combating the “hot planning topic of densification”. Such an agenda builds, to some degree, on Jacobs’ thinking—but with a selective interpretation of it. She was one of the first describing how social capital is built in neighborhoods in large cities, and one of the first describing how the gentrification process works (but long before any of those terms were theorized). She lacked an understanding about the benefits humans obtain by interacting with natural environments, which is her drawback. But hey, no one is perfect. Great book, great humanist, and great systems thinker! Food fundamentally shapes our cities’ ecologies, economies, and social lives, but most people hardly ever consider how it reaches our plates in cities. Hungry City traces food from farm to fork and beyond. 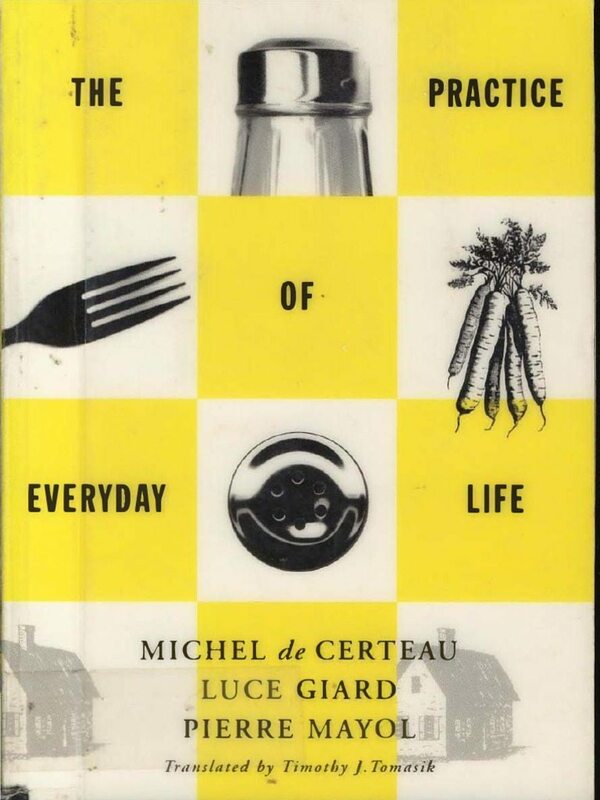 It will not only make you look at food in a new way, but will give you a new perspective on cities; as Steel herself says, “In order to understand cities properly, we need to look at them through food”. 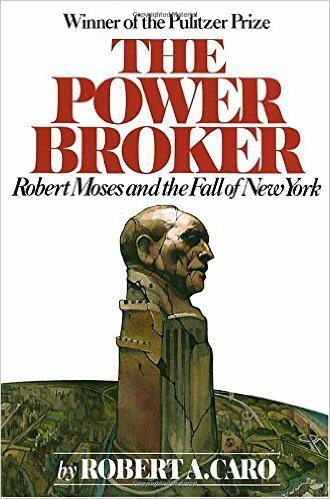 The Power Broker by Robert Caro, and not necessarily as a pro Jane-Jacobs morality tale. For example, Robert Moses tripled the NYC park system in size—the biggest periods of park creation and expansion in NYC’s history. Kate Ascher introduces this portrait of urban infrastructure based on New York City with a wise observation: “Rarely does a resident of any of the world’s great metropolitan areas pause to consider the complexity of urban life or the myriad systems that operate around the clock to support it.” She then offers a richly illustrated compendium that explains five systems: transport of people and freight, power, communications, water, and sanitation. While slightly outdated due to the absence of a current description of today’s technology, it is an accessible and informative primer. The final chapter, “The Future,” lays out key concerns. 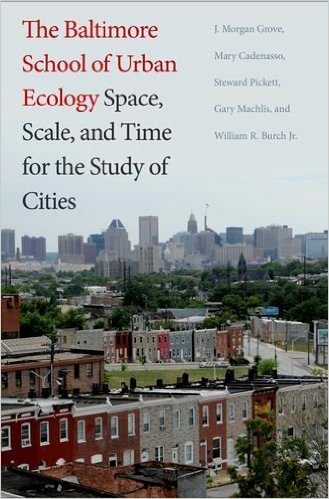 This is a classic book in urban ecology that examines the city from an ecosystem perspective, with humans as a key and integral component of the ecosystem. In the 35 years since the book was published, Hong Kong has changed dramatically in many ways, including a 40 percent increase in population size and skyrocketing rates of consumption—this book provides a fascinating source of perspective in light of these changes. While some of the specific conclusions may well be unique to Hong Kong, the general patterns are largely applicable to growing cities worldwide. An ethnographic analysis of race relations from the perspective of residents of a Rio favela. 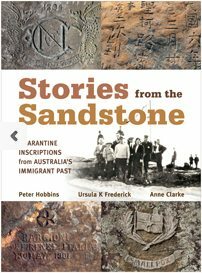 This newly published book is an archaeological-historical investigation of rock inscriptions at Sydney’s former Quarantine Station (1835 – 1979). It charts stories of new arrivals to Australia and the diseases that saw them held at this place for days, weeks, and months. I recommend it for its multiple narratives of the growth of Sydney as an urban, ethnically diverse, and spectacular city from immigration and medical perspectives. A must-read book. Inspirational. I first read it in 1981, still find it relevant, and always discover something new each time I re-visit it. Because to understand the city, we have to understand the suburb. 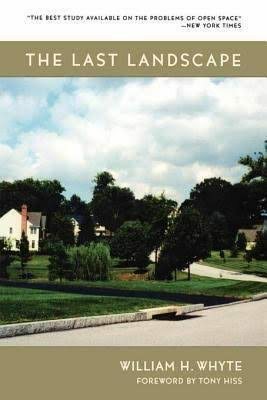 While conditions have changed since this 1985 book, Jackson investigates the role of multiple forces, including technology, transportation, federal policy, culture, and demographic shifts in shaping the suburban form of the United States. 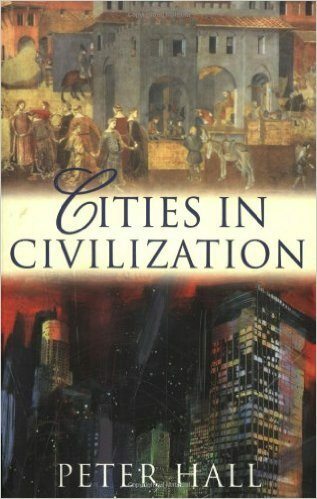 I read it as an undergrad in my first geography course, and this book sparked my interest in studying urban planning and later human geography. 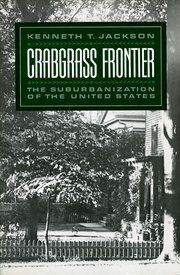 Particularly insightful is his chapter on early federal policies—such as the Federal Highway Act, Home Owners Loan Corporation (origin of redlining), and the Federal Housing Act, showing the institutionalized roots of spatial unevenness and inequality in our urban and suburban form. 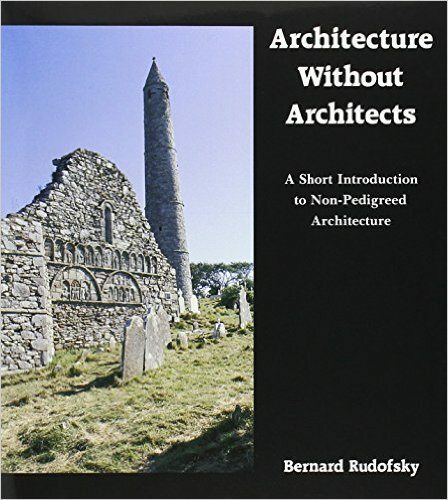 There is no book like this in addressing how and why cities evolved, from the medieval villages to the modern post-industrial metropolis. 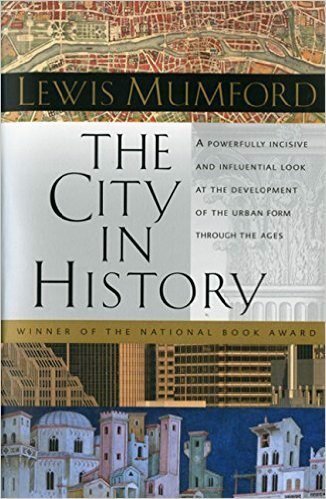 Mumford was among the few able to grasp and communicate, through a clear and extraordinary narrative style, the very “nature” of cities, explaining the root causes of the processes which remain at the forefront of urban studies debates. His half century old insights explain most of the problem we’re still facing and about which any reader could deepen her knowledge with hundreds of books. But no other book could provide you the big picture, the bases for understanding “what is a city”. Now more than 100 years old, this poem is a haunting look at a turn-of-the-century city, which—despite its description of a London where cab horses “steam and stamp” and lamps must still be manually lit—is shockingly modern. In a smoky, densely populated city, nature lingers, clinging uneasily, with “sparrows in the gutters” and vacant lots offering fuel for fires. Based on more than three decades of intensive research and intimate acquaintance with the sacred geography and urban cultural history of India’s ancient living city, Professor Rana P.B. Singh, in this pioneering volume, provides an excellent narrative of the making of Banaras—also known as Kashi or Varanasi. 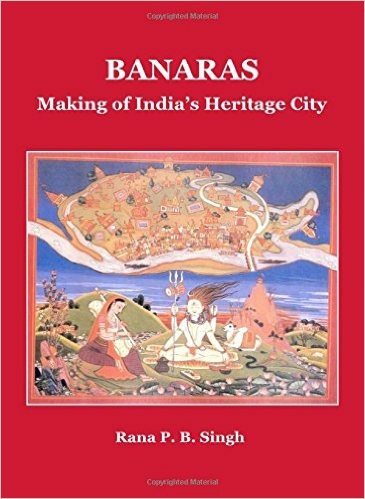 This book is a lead reference for understanding the cultural landscape, sacred geometry and cosmogram, archetypal architecture, vivid ritualscapes, and magnificent riverfront heritagescapes of Banaras that portray and maintain the dignity of India’s rich history and culture. This splendid volume also serves as a role model for the multidisciplinary studies of urban cultural landscapes in South Asia and beyond. It is a must read, published by Penguin Books India, but before that by Routledge in 1995. Over the years, I have read parts of this book several times and have extensively quoted it in my talks and writings. Hamdi focuses on participatory planning as an essential component of sustainable development, with local communities at the forefront leading discussions and contributing to the production of neighborhoods in cities. 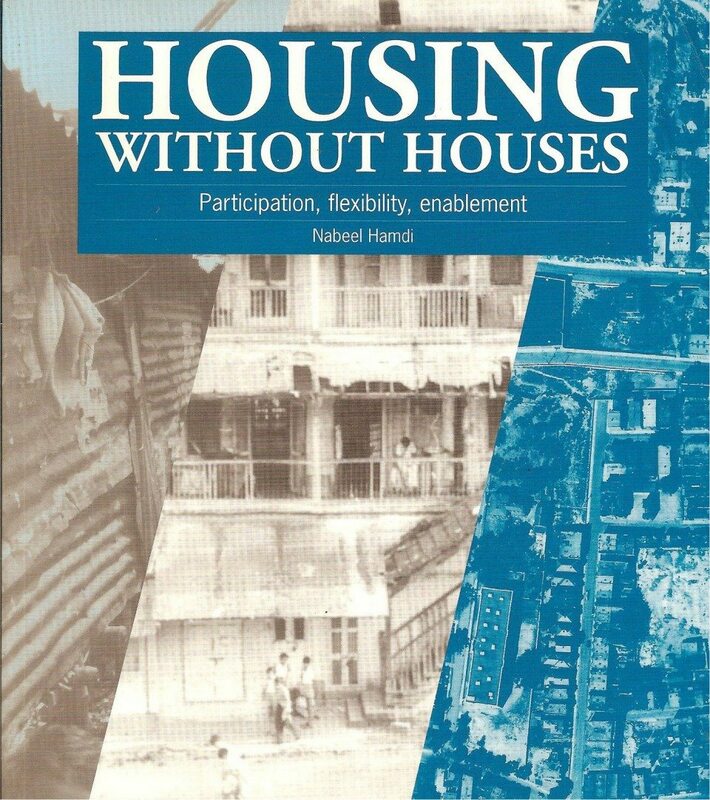 The failures of the state and market forces to provide housing have been demonstrated in numerous cases, and the book discusses how architects and designers along with citizens are responsible for building just cities. Hyper-local knowledge of local citizens is an incredible resource that architects can tap while making their cases for production of neighborhoods. The book also emphasizes how local bodies need to work in unison with state powers to promote equitable development, with a balance of new production and preservation of cultural aspects of daily living. The traditional roles of architects need to be challenged and evolved in order to develop strategies for development from the ground up in today’s context. This is a must read for all! Revised ed. 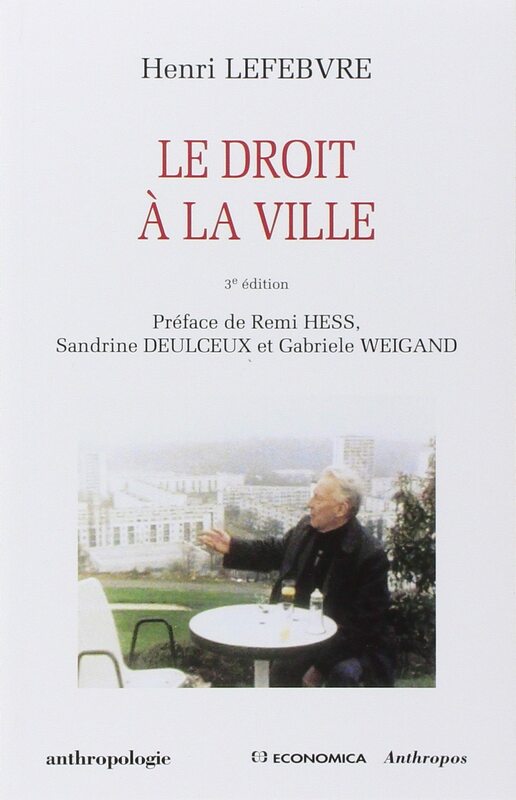 1996, Cassel & Co.
2) Bookchin’s books The Limits of the City (1974), Post-Scarcity Anarchism (essays written between the mid-1960s and early 1970s) and, above all, Urbanization without Cities (1992) are as important or even more important than Lefebvre’s The Right to the City and The Urban Revolution—but everyone talks only about Lefebvre, who was in some regards not as profound or original as Bookchin. 3) Bookchin’s “social ecology” is a very important framework for the type of analysis we need in the 21st century. The classic. Because it is the mother of everything we think is good for cities now: walking, meeting people, being diverse. And worth re-reading, because it has been so much quoted and talked about, some of the ideas and principles have been kind of distorted. The first book with “ecocity” in its title and perhaps the key text of the ecocity movement, this slim volume describes a vision of Berkeley (but it could be any city) as a place of wildness and life, dense with vegetation and people but empty of cars, with a narrative propelled by exuberant enthusiasm and a kind of wild-eyed joy that is rare in city literature. 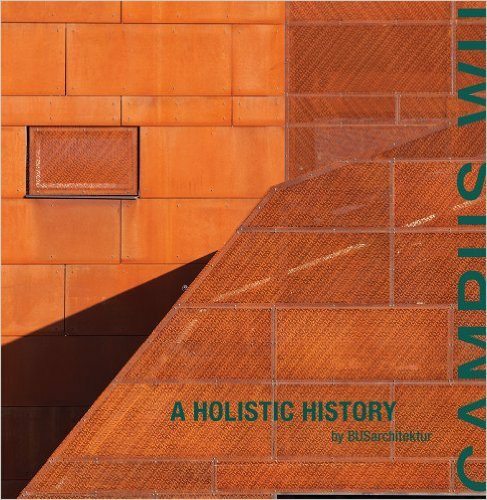 From buildings covered with trees and vegetation to precarious glass-bottomed walkways, recovered creeks, and cars converted into planter boxes, this is the book that let loose many of the memes that now populate city disourse and urban design. Neither conventionally academic nor stiflingly professional, Ecocity Berkeley is richly illustrated with naive and quirky drawings that help communicate sublime and sophisticated ideas about fitting a city within the full embrace of nature—read it alongside Murray Bookchin’s Limits of the City for a radical social and political analysis of urbanisation and the incomparable Lewis Mumford’s City in History for a comprehensive overview of cities that, like Ecocity Berkeley, remain absolutely pertinent to understanding that we cannot make a healthy future without balancing our cities with nature. 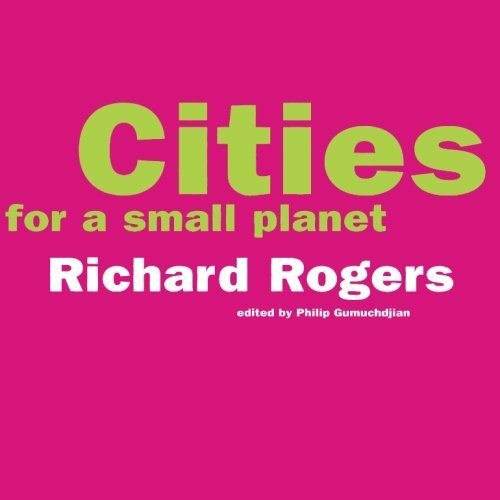 In this book, Richard Rogers speaks to everyone: no matter the reader’s level of experience in urbanism and architecture, Roger reels in his readers, who in exchange are taken on a journey through the history of urbanism, urban decay, ecological design, and ultimately, humanity. 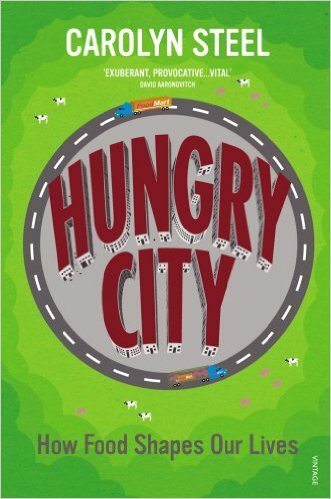 This book is a potential classic in urban literature, and a fantastic entry point for beginners, or a recap for specialists, to contemplate the role of our cities and their potential for being a driving force for greater sustainability. The book gives a very interesting overview of past waves of globalisation events and the formation of city networks going back 4,000 years, up to the patterns and processes underlying today’s globalisation and formation of large city networks. The book ends with an analysis and discussion of the globalisation and cities of the future. Although there are vast differences between the networks of cities along the ancient Silk Roads and the 21st-century system of global value chains and competitive advantage, there are also striking parallels. The author argues that the leaders of today’s cities can learn much from how those in previous waves built and sustained their competitive attributes, and how to avoid becoming locked into unsustainable or unproductive cycles of development. 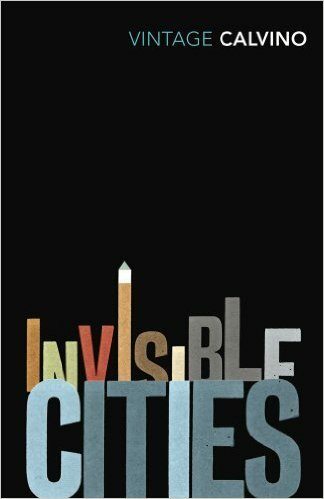 Everyone should read this book because it makes a case that the guiding purpose of the future city should be understanding the whole city as shared space, and acting to share it fairly. It brings together the notion of the city as a commons with a critical perspective on the sharing economy. 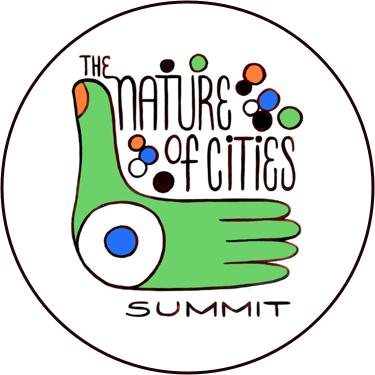 Its compelling theory and a rich mix of city cases move the conventional smart city discourse from multinational companies driving city change, to technological innovation in the service of social innovation and well being for all urban dwellers. Very easy to read for everyone, this book shows how real urban life takes place in the streets. A livable city is one that considers the human dimension and offers a friendly and safe environment. The book, available in English and in Spanish, gives many useful recommendations for planning and management. 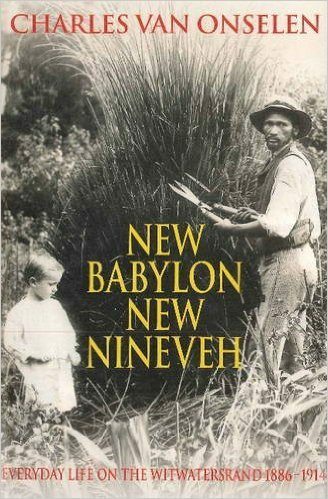 Written in the 60s, it could be seen as very outdated—most of the ideologies are largely realized and the methods are practiced. However, it is still relevant for anyone who is interested in humans’ relationship with nature and how can we improve it. 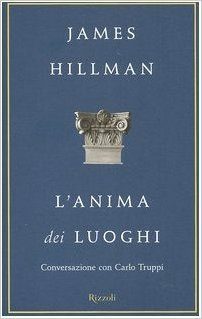 L’anima dei luoghi (The Soul of the Place) is the transcript of a dialogue between the psychologist James Hilmann and the architect Carlo Truppi; it is aimed at understanding the profound identity between culture and nature. The nature of the place is rediscovered as a new subject of reference that has to establish new relations of meaning and to change human perceptions. To respect a “territory” by protecting it ecologically, instead of destroying it, means allowing its energy to live, to survive over time, and to come down to us. 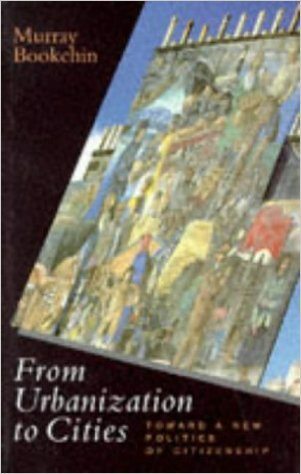 Hilmann’s perspective shows us how geographic coordinates can be seen as an expression of the soul of the place, and it also explains how in the same place, churches of different religions, and villages and cities of different ethnicities and culture, have given rise to a stratification of signs and memories. The book has not been translated to English. 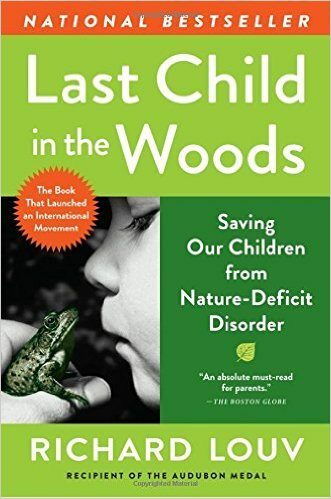 As a landscape architect, father of a four-year-old and uncle of two autistic nephews, reading the book further clarified a personal cause of purpose to make a case for creating meaningful places to expose children to nature in its many forms. 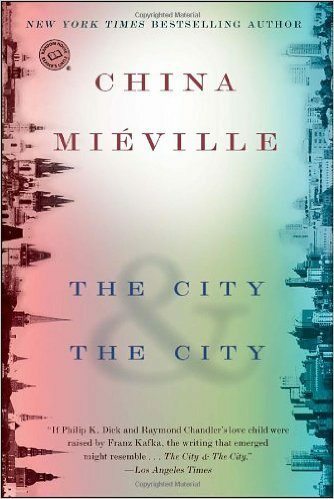 It is a well-written, comprehensive paean to cities of all kinds across the world. 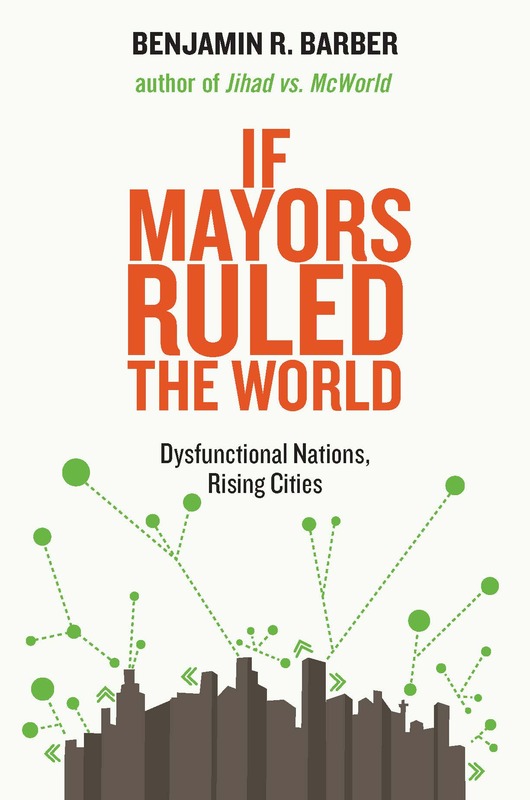 It is also full of insights and policy prescriptions which, whether one agrees with them or not (and there is much I disagree with), challenges assumptions about how and why some cities succeed and others falter. 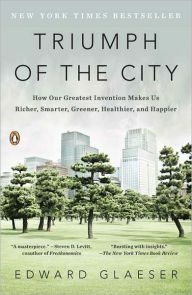 A terrific read for our urban era in which cities will play an outsized role in economic life, politics, and culture. I love this book. It shows how communities can take up greening actions as a means to regenerate their areas and reconnect communities with the past and the future. 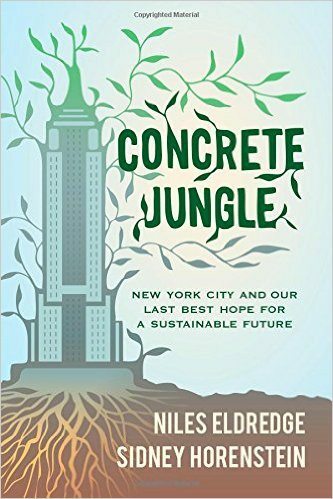 With case studies around the globe in cities that experience devastation because of natural disasters or wars and conflict, the book shows how nature in cities can restore identity and reignite hope for the future. 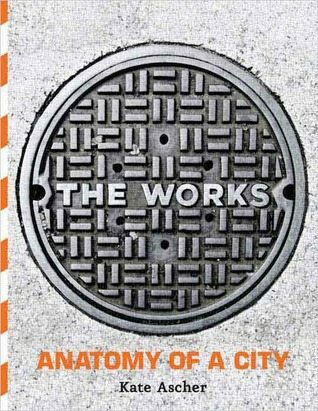 Everyone dealing with the ecology of cities should read this, wherever you are in the world. 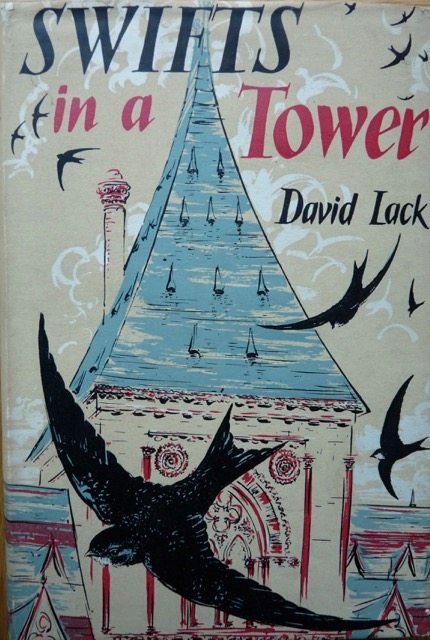 David Lack was a great ecologist and a great writer who produced a wonderful story about the swift, explaining the intricacies of its life in amazing detail and especially its adaptation to city life. 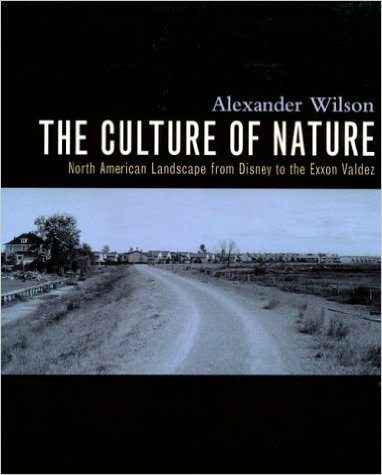 His book is a classic in the literature of urban ecology. We all need to understand the detailed workings of urban ecology; there are so many mysteries. This book provides a way into that world that you won’t forget, and you will certainly look at swifts with new eyes. 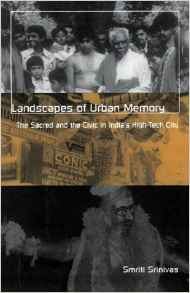 The book is a good mix of research findings and narratives from locals about urban nature in an Indian city. 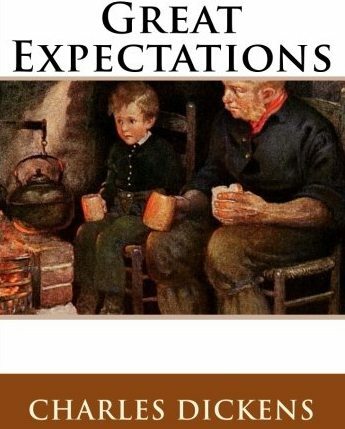 It helps the reader to understand the various factors (colonial past, economics, poverty, development, etc.) 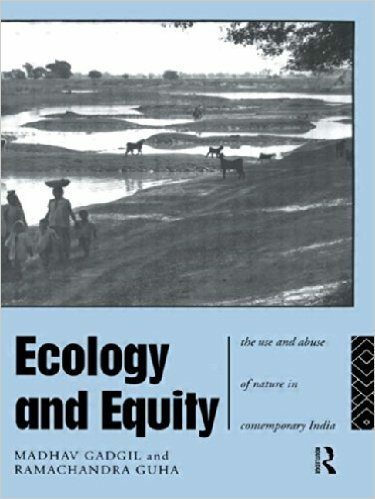 that play a role in “what” and “how” urban nature is in the Indian sub-continent, and perhaps is applicable to many other cities in developing countries. 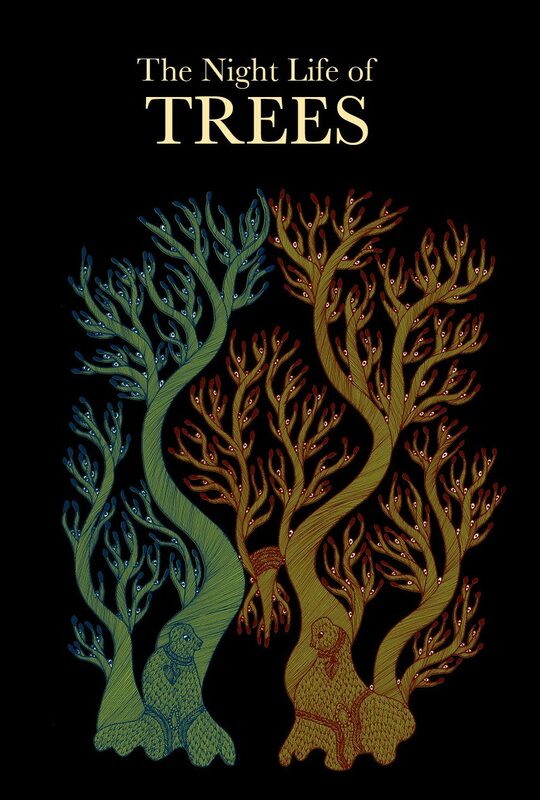 This is a hand printed, illustrated book that I turn to when thinking about trees in cities. It captures the luminous spirits of trees at night, as portrayed by the Gond tribe in central India, and communicates the intimate relationship between the people and the forest that goes well beyond simple functional dependency into a way of life and thought. It is a visual reference for how we can relink our imagination and culture with urban nature. A great story about an early and pioneering long-term ecology study city and how the study team blended social and ecological attributes to more deeply understand urban systems. Well written and speaks to all of us working in this arena. 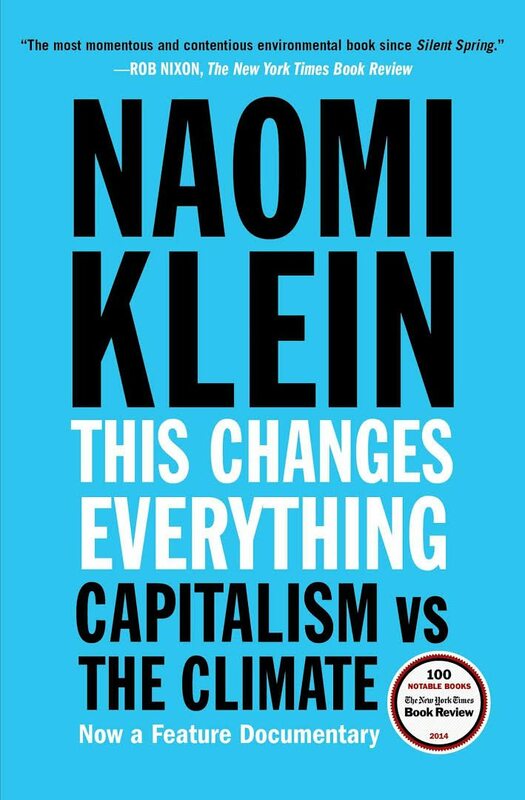 It might be a little too politically orientated for the list (although it shouldn’t be), but it does a fantastic job looking at the political and economic structures that are impeding large scale actions to address climate change. A little light on concrete solutions, but some worthwhile examinations on the roles of community organizing, protection of indigenous rights, and natural disaster recovery as the catalysts for system wide change. In particular, Chapter 4. Some modern thinkers view it as the first work dealing with the philosophy of history or the social sciences of sociology, regarding the evolution of cities. It is an attempt at critical thinking in 1377 AD; unfortunately, that AD-thinking is much needed in 2016 in our Middle East region, and perhaps even beyond. Of course, much of what it says is now not applicable, but the critical thinking methodology is remarkable for its time. Buy the book. This book is the elaboration of a “hypothesis” that Walter Benjamin did not commit suicide at Portbou, but in fact faked his own suicide and successfully fled Nazi Germany. 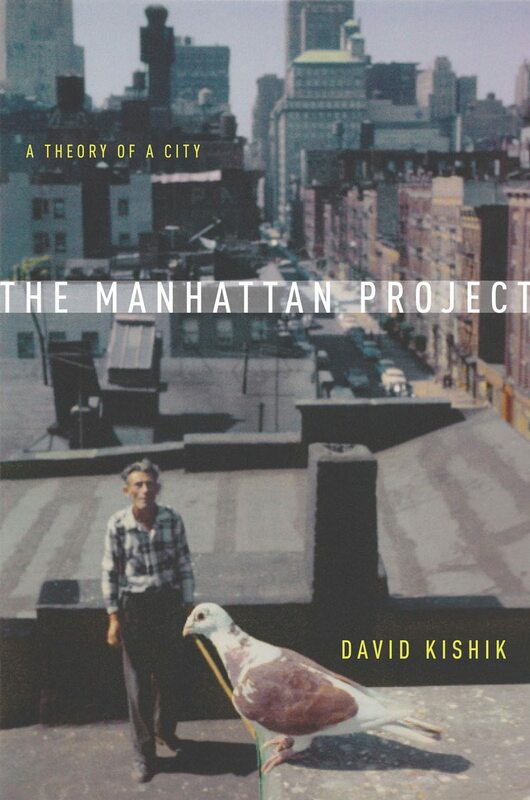 In the book, The Manhattan Project is his manuscript, discovered in the NY Public Library (after his actual death), which articulates a theory of a place and the ways in which the form of the city shapes us in situated ways. New York is seen as an urban implosion, deriving its power from increased density and diversity—the economic, artistic, environmental, and equity dimensions of this urbanist movement are explored in relation to works and worldviews of Mumford, Jacobs, Arendt, and a slew of other important thinkers. It is a playful and thought-provoking work that experiments with place-based, fictional philosophy in the urban context. The concept of a retroactive manifesto is a paradigmatic stepping stone from the design stance of city planning to the ecological, emergent stance we need to embrace for urbanism to succeed as a science and practice. Christoper Alexander’s “Pattern Language” trilogy sets out a compelling vision and agenda for a new participatory approach to architecture and urban design, where planning and settlement act as ongoing generative processes that reflect the deepest creative impulses of the universe itself. 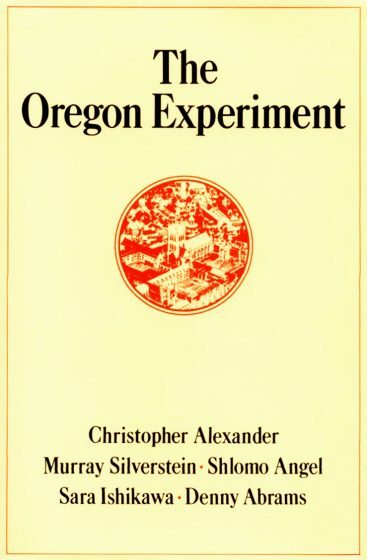 Of the three books, The Oregon Experiment is the most compact, and situates the philosophy set out in The Timeless Way of Building and methodology of A Pattern Language within the context of implementation of a real-world case study. Buy the book. 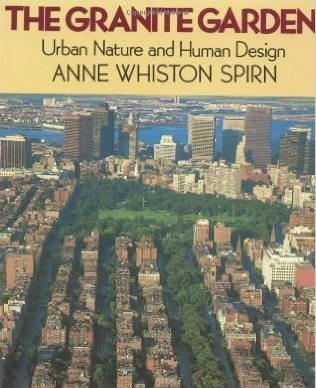 The book that made me look at cities in a totally new way is Anne W. Spirn’s The Granite Garden: Urban Nature and Human Design. It goes deep on how landscape interventions can impact the quality of the urban environment for better or worse. It even predicts what is happening now in many cities around the world. 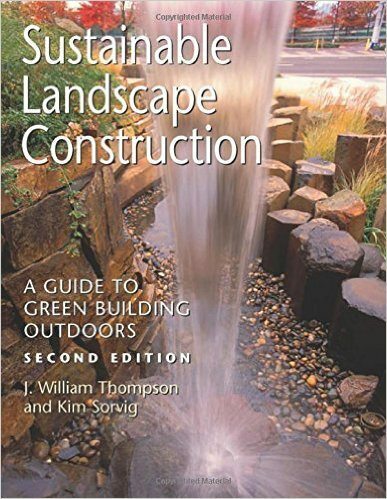 This book is important because the best design can fail if it is not implemented properly during the construction phase. For example, heritage trees that are marked for conservation in a subdivision development can subsequently die if heavy earthwork machines run over the root zone during construction. 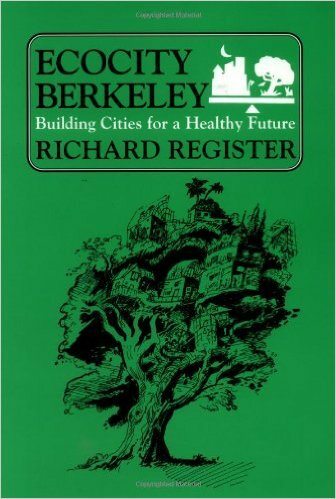 Everyone, but particularly those working on park open space (I hate that term), and planning issues (regional especially) should read this old, but never more relevant, book. A comprehensive, holistic rationale for integrating nature into the city and natural resource planning across the urban and rural (regional) landscape. Inspires me today as much as on my first reading 35 years ago. 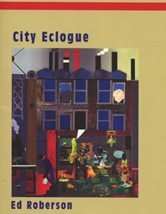 This book analyses power and resultant cityscapes through the Situated Urban Political Ecology lenses. Drawing on various examples from Africa, it reflects on how power shapes urban environments, leading to different configurations. 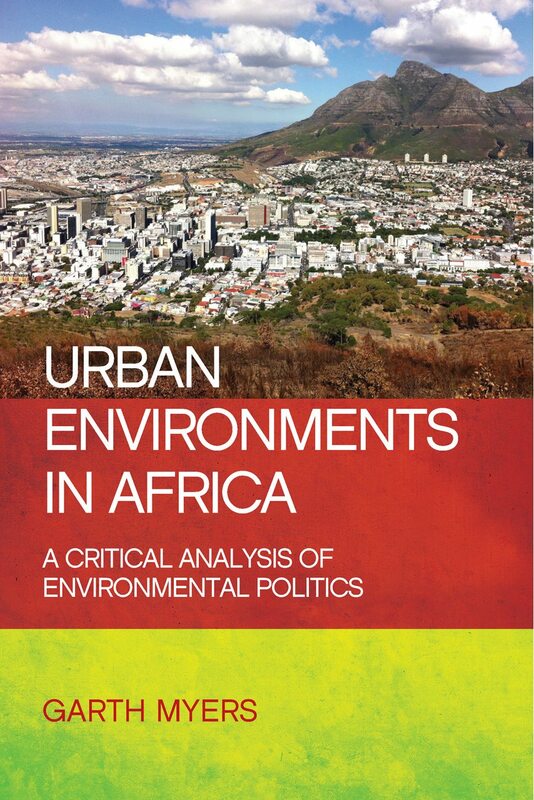 Myers argues that urban African environments go beyond just power versus counter power to a structure of feeling—that assessing urban physical environments merely as sites of risks misses seeing these cities as wellsprings of environmental opportunities. An economic text for those in search of an economy that works for people and the environment, Schumacher’s treatise has been called one of the most influential books published in the past century. Based in the kind of socially and ecologically connected thinking where the well-being of people and cities sprouts from something more basic than sheer economic and industrial growth, the writing offers invaluable philosophical and practical wisdom for those looking to achieve the trifecta of social, economic, and ecological sustainability. 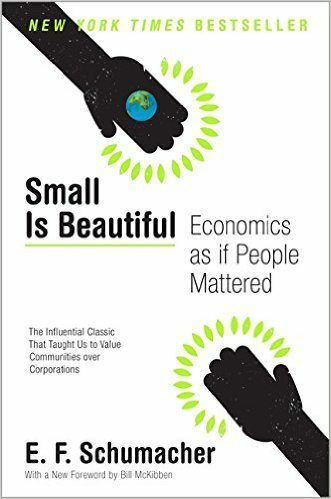 Regardless of the discipline, every successful sustainability plan is bound to find its roots tucked somewhere in the theories of Small is Beautiful. Climate change will fundamentally challenge the way we design, build, and manage our cities. 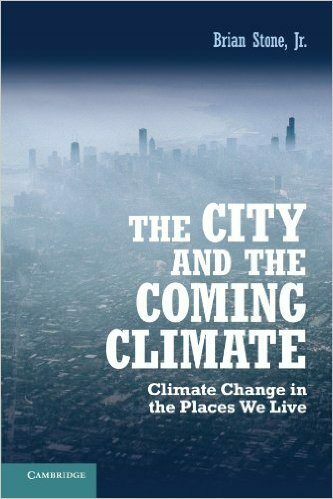 In this book, Stone explains the pertinent climate science and articulates the profound impact of climate change and urban heating, which are currently affecting our cities. He puts forth a range of interventions that can be considered for adapting our cities and building resilience in a positive manner. 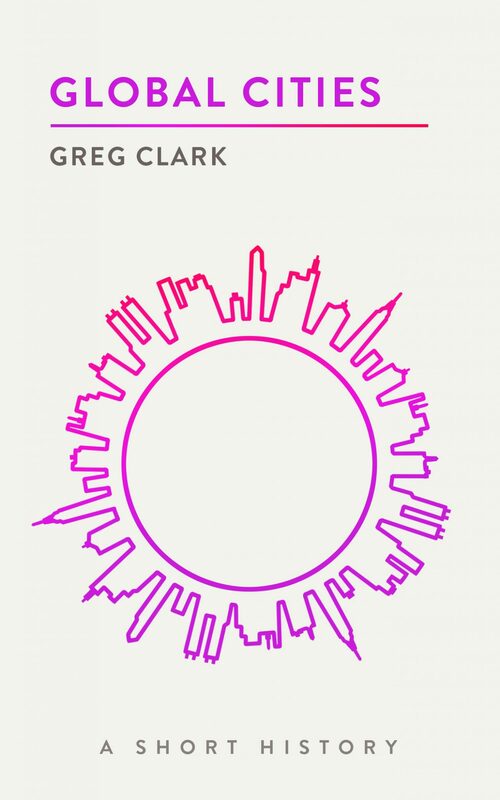 This book is a walk-through of New York City, from the geological origin of the land on which it sprawls to the current social-environmental actions that are being considered to tackle the city’s issues. 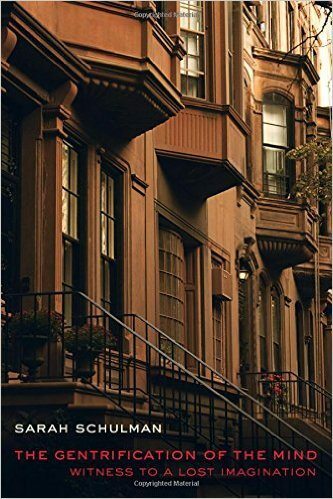 Although the book focuses on NYC, much of its content applies to large cities around the globe. It is very well written, mostly for a general audience, and provides fantastic details. We were lucky, oh so lucky, to have Laurent Gayer explode onto the scene in 2014. Laurent works at Centre National de la Recherche Scientifique in France, but came to Karachi for several years to do this book, after having learnt Urdu in India. 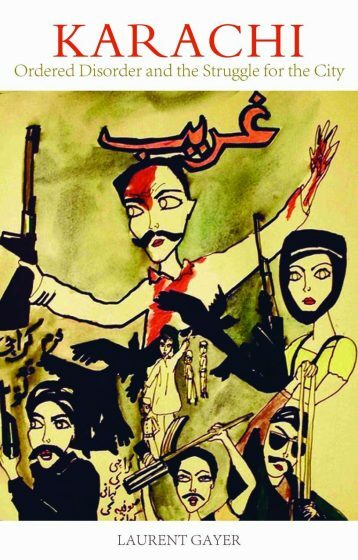 I believe his ability to conduct his interviews in Urdu, often shocking his unsuspecting subject, was the secret to the success of this granular examination of the forces that shape Karachi. Karachi has a rep for being the most violent city in the world (never mind that Oakland and Ciudad Juarez also once had a higher homicide rate). The violence was inexplicable; sure, experts had their theories, but none of them satisfied me. (I was working as the head of the metropolitan pages during some of its most violent years). What Laurent has done is explain “us”. His brilliant theory is “ordered disorder” or managed chaos. He explains why Karachi continues to function while falling apart every day. Best of all, it is a riveting read because he approaches it almost like a journalist and tells the story. Ordered Disorder is essential reading also for anyone who wants to understand the history of modern Karachi, how certain factors have influenced its growth, decay, and resilience, and how we often work “through” violence. 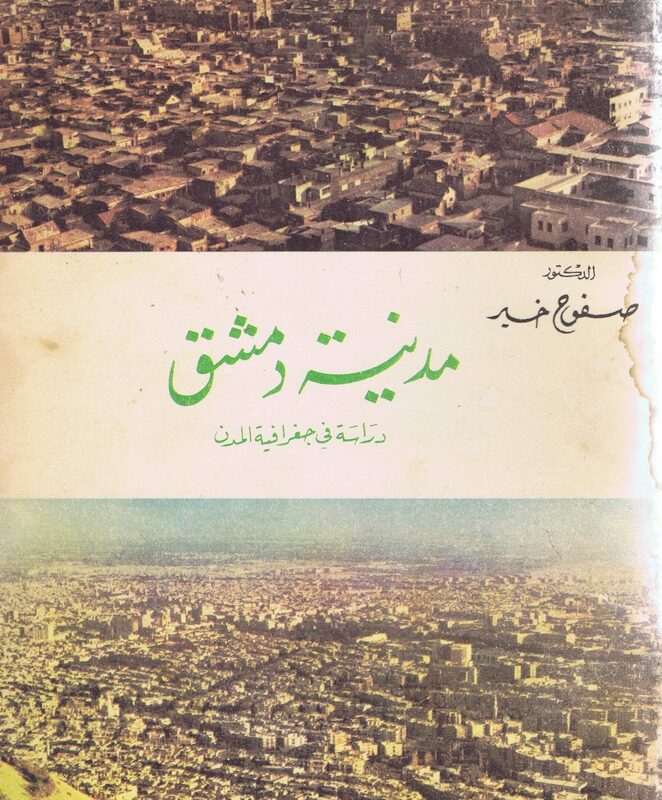 In Arabic, a holistic narrative of natural and cultural processes that shaped urban morphology. The book is a must to understand evolution of the three components that shaped the morphology, architecture, and cultural landscape of this ancient oasis city. Let’s turn to the great classics. The Right to the City is a touchstone for people working on social production of space and justice in the city. Some, like Susan Feinstein, consider that The Right to the City is more a rhetorical device than a policy-making tool. Still, this book, published in 1968, has inspired countless academic authors and practitioners in urban planning and urban design up through today. One of the few American poets with field experience in biology, Ed Roberson brings his innovative poetic forms and radical imagination to singing the ecological, political, and racial ecosystems of the city. If The Nature of Cities community is going to read one poetry book in 2017, this is it! 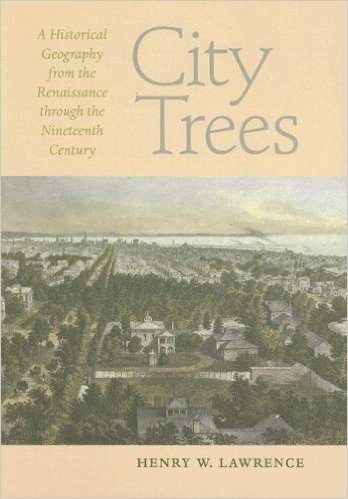 What is mind-blowing in this book is the painstaking reconstruction of tree cover and parks in major cities from the 16th century on. It really changes your perspective to learn, for instance, that the Dutch practice of having trees along canals spread to trees along streets in Amsterdam, and that the initial response of most observers from other countries was bewilderment (why in the world would you want trees in a city?!). 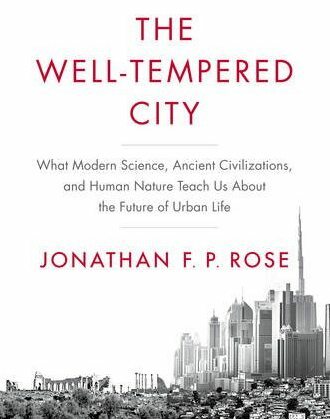 The book provides the detailed historical evidence that how we have tried to use nature in cities has changed and expanded multiple times since the renaissance, and (optimistically) could expand again even in our current urban century. For me, an architect, Nature’s Metropolis helped me see cities in a much more complex way. 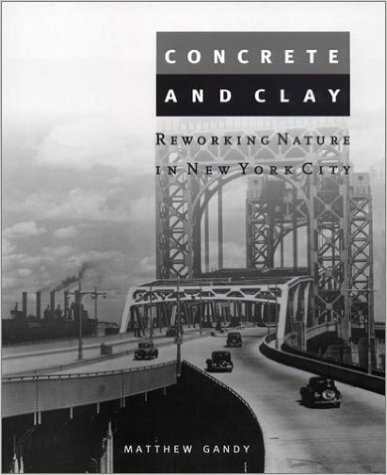 Concrete and Clay wonderfully traces the development of New York City and the shifting and contrasting views within key development projects integrate a “metropolitan nature” in the city and the region. The focus on capital and political power in decision-making and the impact this has on urban environments is a useful history that remains important as a story about the impacts of urban development on all nature in the context of an urbanizing planet. A must-have for any library shelf on city planning. 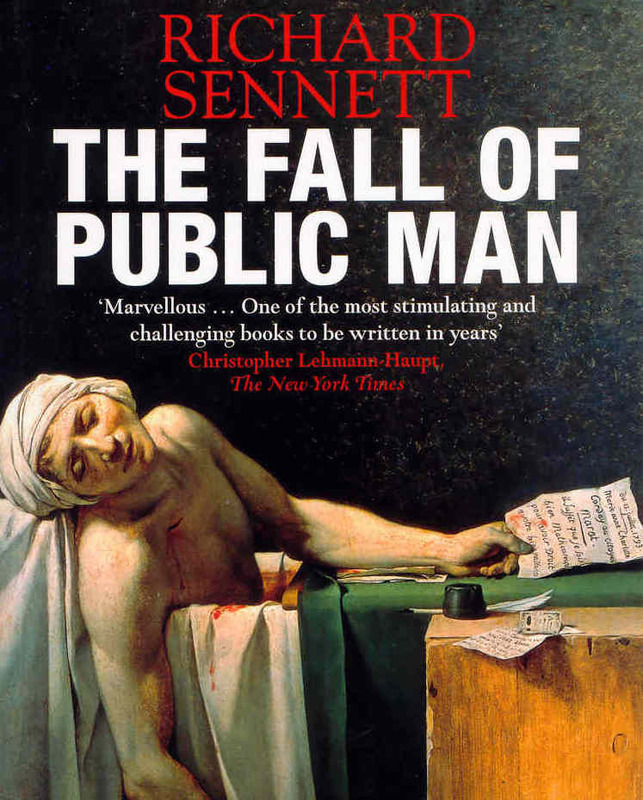 First published in 1980, it was both enlightening and thoughtful, and even then asked the fundamental question “What has happened to life in cities?”. The book has had a lasting influence on the quality of public open spaces and has especially helped architects and urban planners better understand the larger public life of cities. Focused on how humans use public spaces, Gehl places substance and quantitative research behind urban planning. 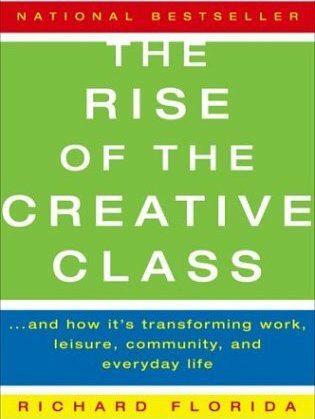 This book explains how important placemaking is and the economic power wielded by creativity. 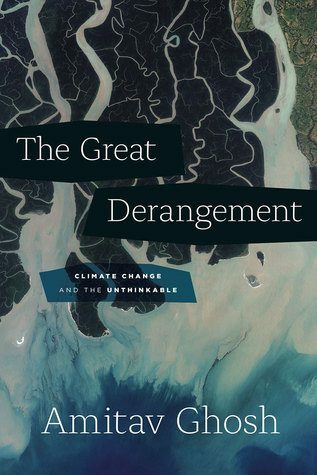 I really enjoyed this book because of the way Ghosh makes clear the important role of “culture” in thinking about the climate crisis, whether it’s the role the writer / artist has in making such a topic central to our thinking about the world or the way our “political culture” has brought us to this point. Ghosh writes with great insight and allows us to track these links in a very compelling way. 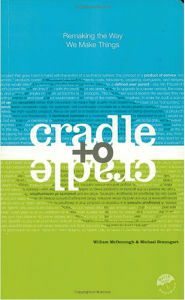 I have found Cradle to Cradle seminal in my development. It makes the critically important distinction between eco-effective and eco-efficient design. The former is a radical departure from how we’ve made things for most of the industrial history of the world. The latter is simply a slower way of destroying the world. I believe this book is of interest to all involved in the design process, regardless of scale. In French, La pierre qui pousse. A short story, this is brilliant in terms of a story of myth blending with city engineering. It’s about inequalities, about myth-making, about changing the narrative of a town in a deeply democratic way. 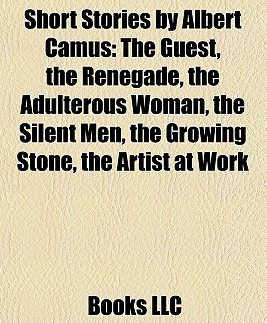 When I read it a centenary on from Camus’ birth, it blew my mind. 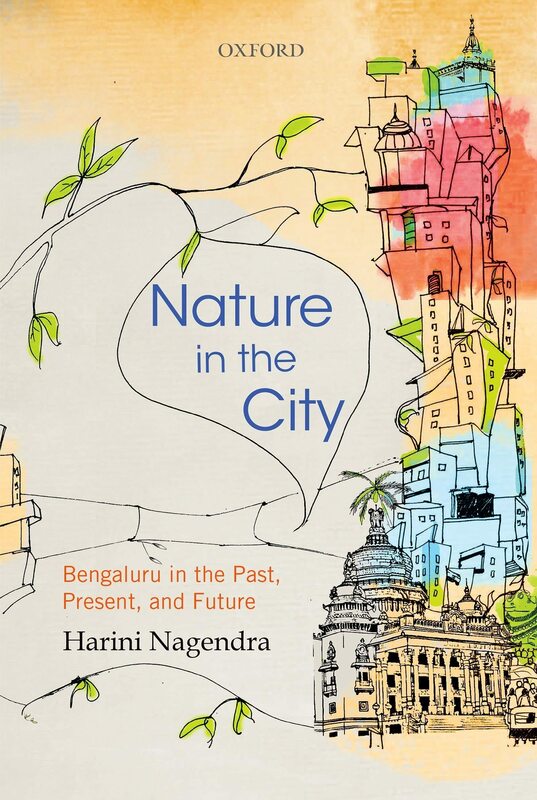 My book is set in the southern hemisphere, a fascinating account of how traditional and modern cultures, ecologies, and visualisations of the sacred and the civic influence each other, in the backdrop of the globalising city of Bangalore. It focuses on an iconic sacred event, the annual Karaga performance. Conducted by a traditional community of gardeners, the Karaga is organised around a network of garden and lake sites. Many of these sites have now vanished from the city, but survive vividly in memory and imagination, while others are still physically extant, though substantially altered in form and function. Through the lens of the Karaga, Smriti Srinivas describes the complex, changing matrix of cultural, political, and social ties to nature in an Indian city where tradition and modernity are two sides of the same coin. The book provides a scholarly insight into social transformations in a modern Indian city, but at the same time takes you deep into the lives and imagination of people in the city, describing how they see and value nature, and how this has changed over time. It’s one of my favorite books, on my favorite city. Happy reading! 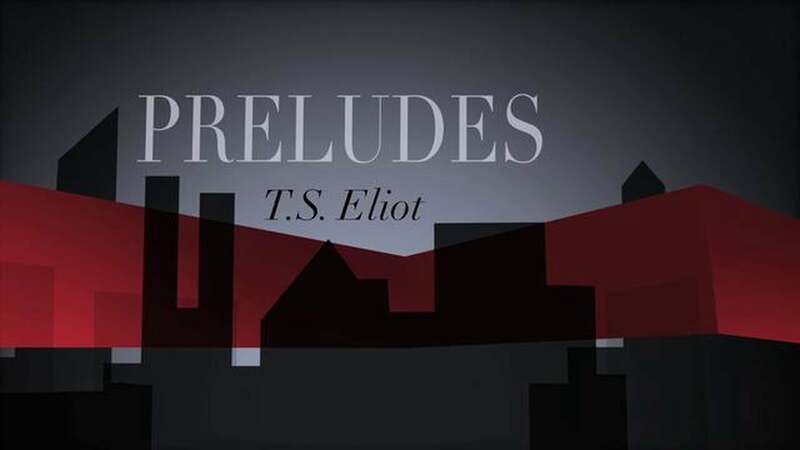 A novel that traces how cities began forming the modern backdrop for humanity and a portrait of the multiple human stories and twists of fate (luck, cruelty, love) that cities foster. I love Gwendoline Wright’s volume on the Politics of Urban Design in French Colonial Urbanism because it’s the South speaking back to the North—but the “urban” book that really got me hooked on doing city research and convinced me, as a geographer, that there was a real value in a historical perspective, is Olsen’s two-volume set of essays about Johannesburg. Beautifully written, place and people sensitive—but with a much bigger understanding of political economy. Because of its intemporality, it is always inspiring to new generations—to transform the City, and mostly its people. It remains fresh and pertinent in its transversality, dealing with social, urban, human, gender, and generational issues in a simple and engaged manner. Anne is one of the pioneers and continuing deep thinkers about the relationship of ecological, geological, and climatic processes and context that interact with urban design. Her approach is based on data and knowledge, yet informs the creative and human-centered intentionality of urban design. Her writing is a joy to read, and her insights are still fresh today. It shows the wisdom and creativity of builders who did not have a formal education, but were observant and inventive. The traditional forms and materials both came from local places and were built to shelter from heat and cold and to take advantage of natural phenomena such as wind and sun to create livable cities and communities. The end results were cities and villages that addressed local conditions for thermal and human well-being. 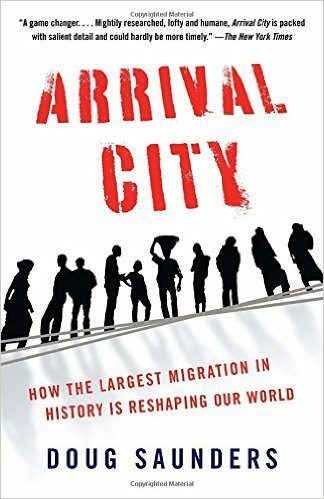 It is a remarkable book telling the story of what happens to people arriving in a series of world cities. It explains how they have adapted to the barriers that face them and gives us a much keener understanding of just why the peripheral—or arrival—places in our cities are the way they are. It covers cities in countries as far flung as China, Iran, and France. It’s a welcome summary of studies and cases showing that the social and cultural infrastructure of cities can be as important as the physical infrastructure. This was one of the first “how to” books addressing nature and cities. Instead of just theorizing about the city and how it might be changed, McHarg offered a practical approach to urban design that allowed the incorporation of nature into city plans. His “overlay” thinking paved the way for subsequent GIS based planning approaches, without which it would be impossible to protect nature and biodiversity in the 21st Century city. Little known but much loved by those who have had the pleasure of reading it, J.H. 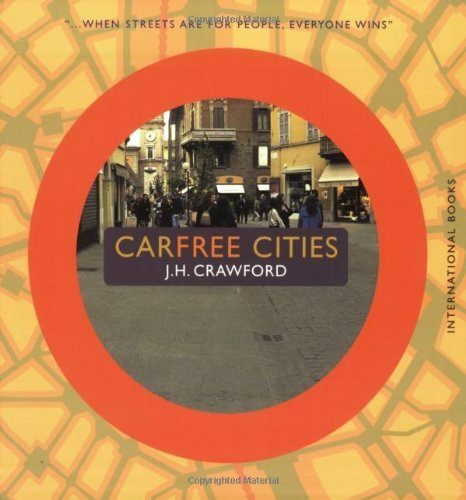 Crawford’s book, Carfree Cities, walks through every aspect of what it would be like to live in a town or city without cars. 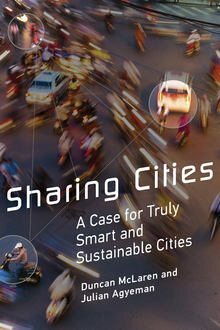 Thoughtful and surprising, this short book will remind you of Christopher Alexander’s Pattern Language, Jan Gehl’s devotion to livable cities, and Richard Perl’s systemic understanding of how transportation shapes urban form, all before Google’s Self-Driving Car or Uber were on the horizon. Illustrated by Arin Verner. An absolute essential, in this short book, Lynch revolutionized the way city planners thought about how people move through and view their cities. The basic lessons of what elements a well-designed city has are all here. It will shift your thinking of how residents of a place conceive of their city, and change the way you look at a city yourself. Considering cities through five human senses is a good place to describe how we react to the spaces around us, and how best to respond to them. It’s a great starting point for planning better cities. Invisible Cities, for understanding that cities themselves are organisms that run on empathy. Always good to re-read to remember that everything we build or reconstruct will be seen with many, many different eyes and be part of many, many different stories. While Dubai has received some attention from architects and planners recently, the literature on it has been somewhat superficial. This book considers the evolution of the city over the past 50 years and links it to major infrastructure development, an often over-looked aspect. The city of “glam” is actually a city of “ports”. 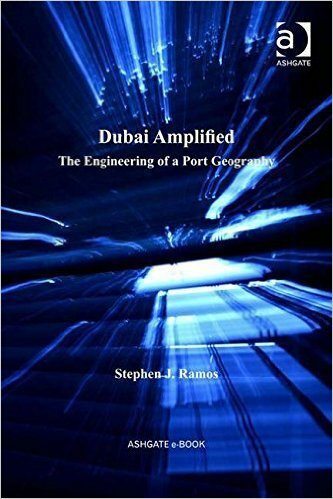 The book provides insights into the politics and economics of development in the Arabian Gulf. The fundamental idea in The City & The City is that two different cities occupy the exact same geographical site. The spaces in the cities overlap, but they are legally separate entities. The cities in the book symbolise the ways in which there are multiple and diverse spaces in real cities, but how certain spaces (and the people who produce and occupy them) are “othered”. 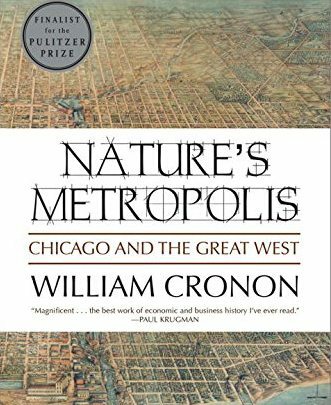 Nature’s Metropolis (1992), Cronon’s history of Chicago and its Western hinterland, would probably be a more obvious fit for this list. 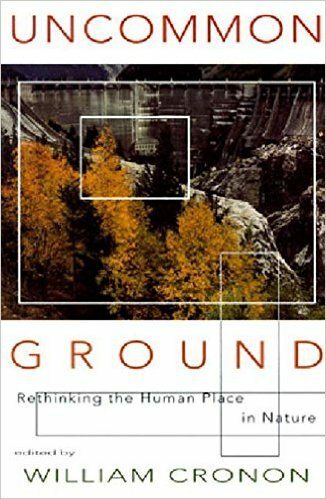 Yet Uncommon Ground is a primer for deconstructing many widely held misconceptions about the relationship between humans and nature, including the place of cities in an environmentally enlightened society. 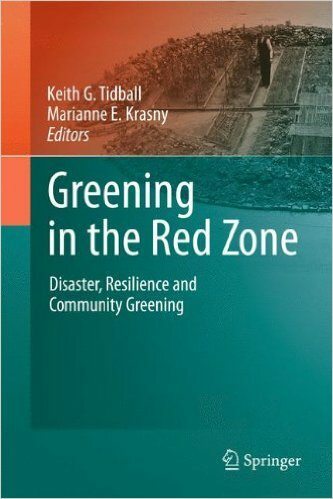 The introduction alone should be required reading for any student of cities and the environment. 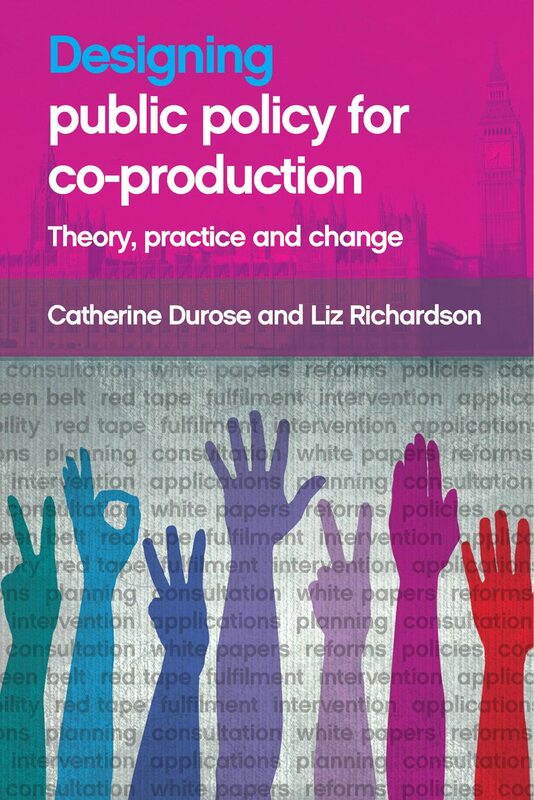 This is arguably the best guide to the shortcomings of conventional public policymaking and the potential of co-production methodologies. 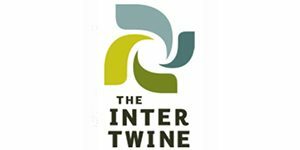 The diverse authors, a mix of academics and practitioners based in the U.K. and U.S.A., draw on long experience at the (mainly urban) public policy-practice interface to explore the potentials and challenges of experience with diverse forms of transdisciplinary co-design or co-production. 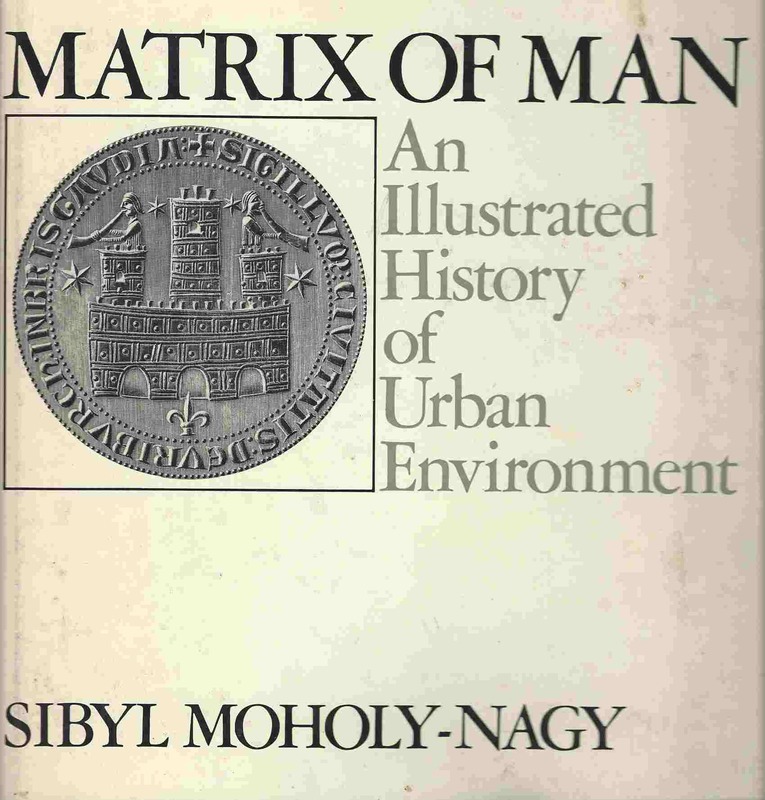 Every time I open The Matrix of Man: Illustrated History of Urban Environment by Sibyl Moholy-Nagy, I learn something important. 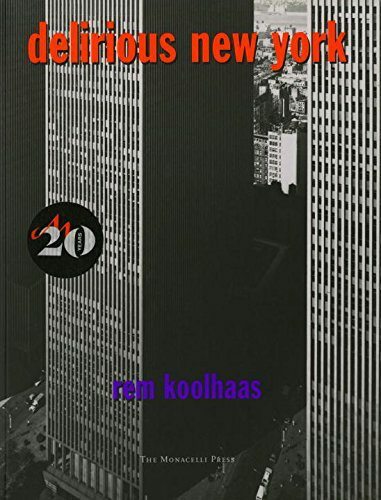 This is a book that contains an inventory of urban models as well as speculations on the contemporary city as it was imagined in the 20th century. While recent texts discuss mega-cities as they have unfolded, this book was published as they began to appear. Beautifully and intelligently written, the book’s author, Moholy-Nagy, was the wife of a Lazlo Moholy Nagy, a seminal figure in the early 20th century who also taught at the Bauhaus. Professor Hall brings together a lifetime of scholarship on the nature and functioning of cities to weave an extraordinary story of economics, politics, anthropology, and culture across millennia and continents. It is a huge tome, but at the same time is enjoyably readable and a great resource for understanding the city’s role in the history of our species, and the complex combination of factors that make for great cities. 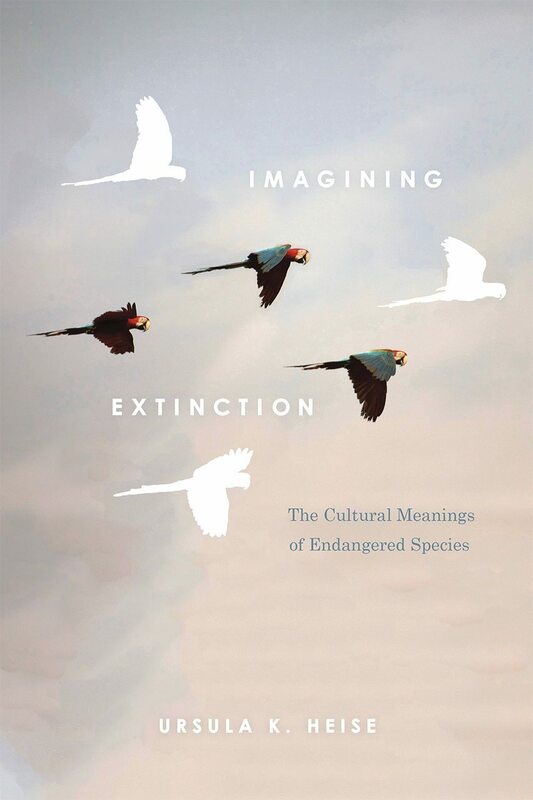 Heise effectively argues why any advocacy on behalf of endangered species must understand the cultural frameworks that shape what we think is and isn’t valuable in nature. As Heise illustrates in her twisting and turning narrative through the diverse ways humans make cultural assumptions about nature, conflicts and convergences of these things in the Anthropocene open up a new vision of multi-species justice. Imagining Extinction makes it clear that cities are ground zero for this vision. 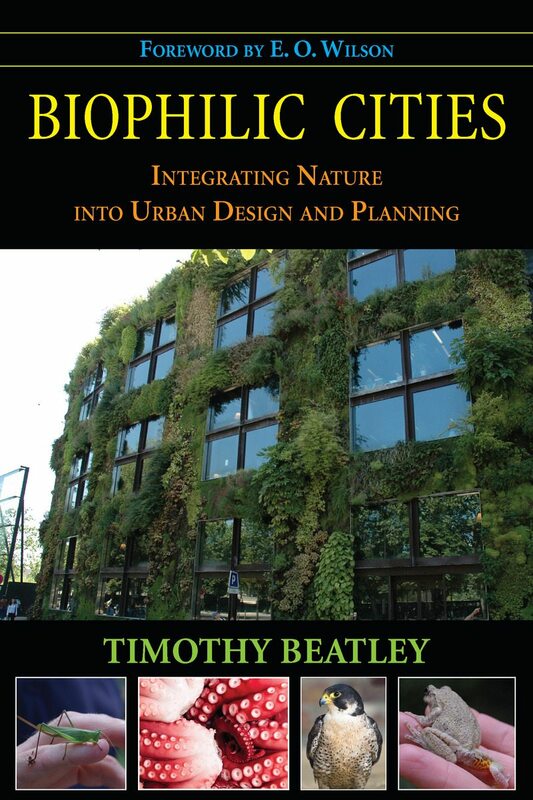 I would recommend urban planners to read Timothy Beatley’s Biophilic Cities; it is such a great way to think about what nature means for all of us and especially those who live in cities, and how it can benefit urban citizens in every part of the world. In The Gentrification of the Mind: Witness to a Lost Imagination, which Mike Young reviewed for ArtsEverywhere.ca, Sarah Schulman shows how the gentrification of many neighbourhoods in New York during and after the AIDS crisis correlates to the forgotten politics and socialities of queerness as it intersects with racial and economic struggles. The gentrification of space is the gentrification of the mind through the erasure of histories, relationships, rights, and differences. 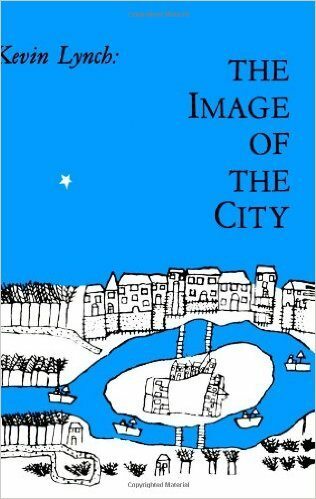 The book that made the first cultural argument about the loss of the civic commons that was the genesis of urbanity. Also a great piece of writing. by Ken Yeang and Arthur Spector, eds. 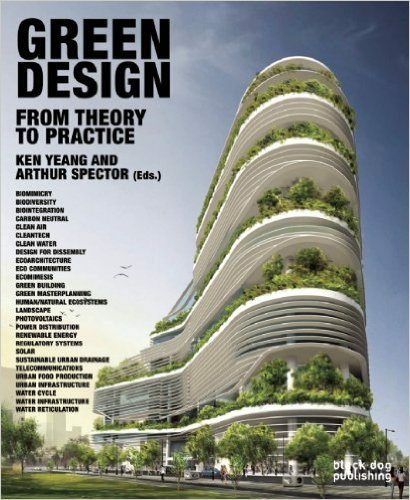 Yeang and Spector have been doing the green thing in cities—not just thinking about it—longer than almost anyone. 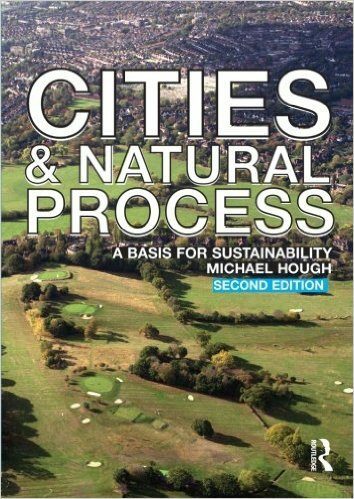 This book is a temperature take on where we are and should be in delivery of green, sustainable, biodiverse cities in practice. It links across all or most design themes—not just addressing low or zero carbon, or water sensitive urban design, and stopping there, but making the point that the sustainable city has to be truly green, vegetated, biodiverse, and biophilic, too. Architects need ecologists to design good cities. The Spanish version of the book can be downloaded here. Es necesario contemplar las acciones concretas de la Ciudadanía respecto al cuestionamiento del papel de la naturaleza en la ciudad. Los gobiernos locales subestiman el poder de la acción ciudadana. Uno de los potenciales más poderosos es la capacidad que puede tener una complicidad público privada para una gestión efectiva de la biodiversidad en la transformación positiva de las ciudades. Este libro se logró gracias a la participación de más de 80 casos en diversos lugares de Colombia. 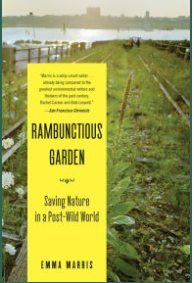 The book explores how to design and manage areas of “everyday nature” in ways that are beneficial to and appreciated by humans. The book translates many years of empirical studies into practical design and management approaches, and it is a readable and flexible guide for practitioners and managers in many fields. It takes theory and research evidence to small-scale changes that improve quality of life. I had the great honor of speaking with the wonderful Ian McHarg on the phone in 1985, when I had been accepted to enter the prestigious M.Phil. 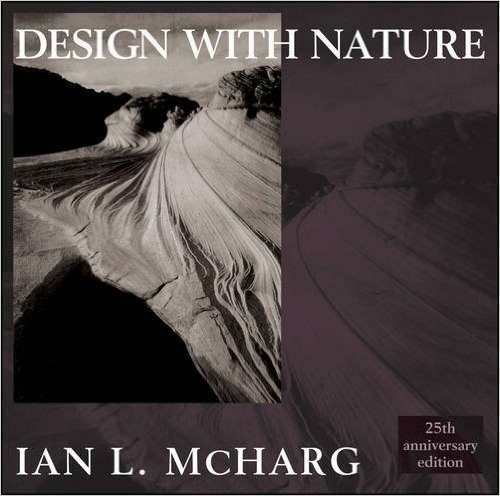 in Landscape Architecture in Penn, that Mr. McHarg established and led for many years. In recent years I’ve sought to promote his writings and work, which was far-sighted and pioneering. He deserves much more mention… and perhaps a retrospective series in some form – in USA and/or digital media. 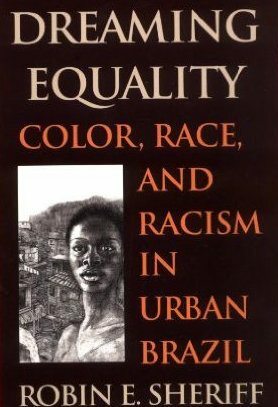 Written in 1945 but still relevant in understanding U.S. cities and the role that race and poverty play in shaping the day-to-day environment of cities. Also relevant because Drake and Cayton had links to the “Chicago School” of sociology that influenced many contemporary ideas about socioeconomic status and the ecology of cities. 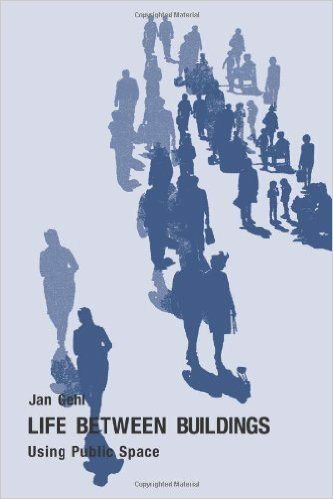 Where I see Ian McHarg get as many mentions as Jane Jacobs, I know I’m in a good crowd. Many of my urban planner friends barely know the name Ian McHarg, and some even graduated with planning degrees without ever having read him! I love Lance Hosey’s “The Shape of Green,” about beauty and sustainability. The chapter “The Natural Selection of Cities” is great! Fantastic list! A favorite that’s missing: All That Is Solid Melts Into Air by that Marxist Humanist Mensch (as Todd Gitlin eulogized him) Marshall Berman. For the humanities lovers.